Probate, or the formal court administration and “official proving of a will,” can bring stress and anxiety to an already taxing situation. Even families who have had the time to prepare for the death of a loved one may encounter difficulties and arguments, which is why we strongly encourage everyone to not only create a will, but to work with an attorney to find out what the best option is for their individual needs. Our services include providing assistance to the personal representative of an estate or trustee to help ease the complexities of the administration, marshal the assets, notice and communicate with creditors and distribute the assets in accordance with the wishes of the testator, the maker of the will. Florida is one of 16 states that is governed by the Uniform Probate Code, which seeks to reduce the complications of the probate process. Upon death, the deceased’s property must be sorted and distributed to the appropriate parties by a court, after the payment of any taxes, fees and valid creditors’ claims. This process is called probate, and can be lengthy and expensive, depending on a variety of issues. 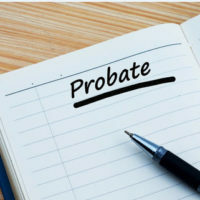 Probate administration can come with its own set of complications, due to complex assets, disagreements among beneficiaries and valuation among other potential areas for discord or varied positions. Not all property is subject to the probate process, however. Life insurance, IRAs, personal annuities, trusts, jointly owned property, small estates, and pension plans all fall outside of the probate process. What are Common Examples of Disputes that Occur During Probate? The most common dispute arising during probate is from family disagreements. One or more family members may believe that they did not receive a fair share of the probate estate, or that the decedent was deceived or tricked into changing their will by another party for their own benefit. Tensions and emotions are already high during the grieving period of a loved one’s death. Old disputes may arise during this time. Another aspect of the probate process is that it is entirely public. Anyone can find out how much the decedent left behind to each heir, and that type of public record can be difficult in such a readily available forum. Additionally, any person who is likely to be impacted by the disposition of the assets can contest the will. When the probate of a will is contested, the process can be prolonged. The cost of probate is a necessary part of having the court participate in the orderly administration of your loved one’s assets. The selected fiduciary under the decedent’s will charged with administering the estate is called a Personal Representative. While most Personal Representatives will not charge a fee for their services if they are a family member of the deceased, they are required under Florida law to engage counsel to represent them which is an expense borne by the probate assets. There are also court costs and filing fees which vary by jurisdiction. However, if the will is contested, or proves to be invalid, the costs and fees will escalate. The law firm of Jami L. Huber, P.A., with offices located in West Palm Beach and Boca Raton, Florida is adept at handling all types of probate administrative issues, whether they were foreseen or not, and estates of all sizes. We collect all probate assets, ensure required tax returns are filed, handle all aspects of the estate’s administration including valuation of assets, payment of and negotiation of claims, objection to invalid claims, management or sale of real estate as necessary, the orderly distribution of assets to beneficiaries and more. Contact us today for immediate assistance.